...more days until challenge #1!!!! I am getting pretty excited so I am sharing that excitement with you in the form of another RAK! Have you gotten into the enamel dot craze yet? If not, you don't know what you are missing! I love these things and I swear I add them to almost every page I create!! Leave a comment in this post (by the end of the day April 30th) telling me if you LOVE them or could LEAVE them. I will announce a random winner who will receive some enamel dots from me!! LOVE LOVE LOVE enamel dots!! Cannot seem to make a project without them lately!!! OMG, is this a trick question?? Of course, I love enamel dots and use them all the time. Don't know how I lived without them for so long before I started using them about four or five months ago. Oh yes I love enamel dots! They always seem to fall into my shopping cart....lol! Oh my a layout is not complete until the enamel dots are in place! Lol. Would love to win some. Love enamel dots! Perfect for adding just a nice little sprinkle of color and pop to a page! I do love them, but need to practice using them a bit. On others' LOs they look great, on mine they look a bit misplaced. I need more practice! I do love enamel dots! But I wish they weren't so expensive. Since the trend is to sprinkle them liberally (in groups of three), you can go through a $4-5 pack in a snap. Thanks for the giveaways. I'm looking forward to your launch. Totally and completely addicted! I can't try the perler bead thing between being pregnant and having an asthmatic kiddo, but otherwise is be swimming in them! Love them---but I am stingy with them because I don't have than many!! I love these! I'm too cheap to purchase enamel dots but these beads are so cheap :). I love your striped beads! I love them! But I am stingy also using them so I don't run out! I've been making my own from perler beads and love them ! I am just now getting to where I am using them more. I love them! Thanks for the giveaway~! I have used enamel dots yet, but I LOVE the idea of them. I love enamel dots and have an extensive selection but I just noticed the other day that I do not have any in white. I'd love to love them, but not many have reached my country yet. I need to try baking the faux dots. TRIPLE LOVE THEM!! :) I use them on everything too. They are so cute! Love them!! they just add that perfect little something! They are by far my fav embellishment! I rarely make a layout without them and have become addicted to adding them to my cards! I'm probably the last scrapper that's never tried them, been out of the loop for awhile, but would love to see what the fervor is about! Thanks for the chance! I love them! They add that little pop of color that goes so far! I probably use them on 95% of my layouts. I was slow to jump on the enamel dot bandwagon, but now I love them! 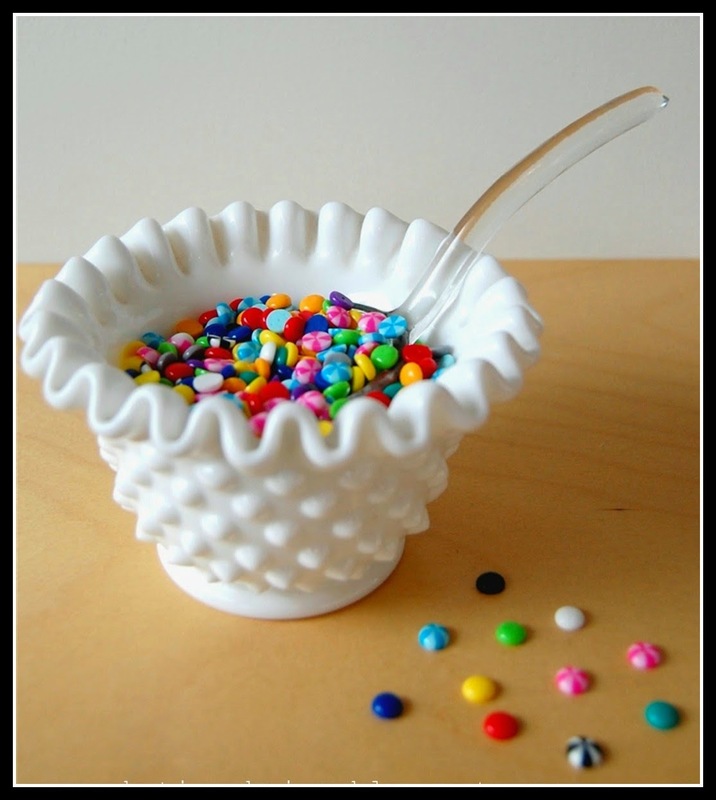 I love, love, love enamel dots! !